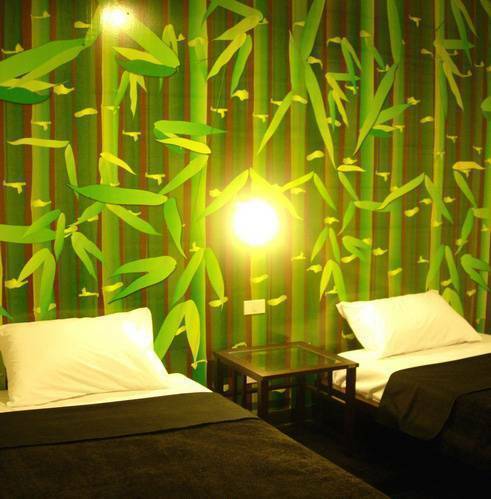 In a heart of Bangkok citys renowned Silom district, Take a nap Hostel providing hip, convenient, and personalized accommodations for the stylish traveler. It has the privilege of being located in a central business area, full of activities and sights, with the specific atmosphere of a CBD, nightlife and shopping area. 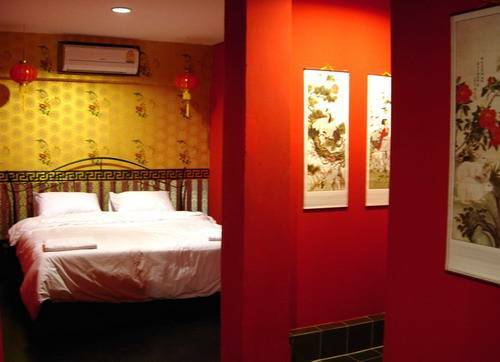 Each of the boutique rooms has its own style which can melts everyones imagination. Each of the 30 rooms is an individual work of art. 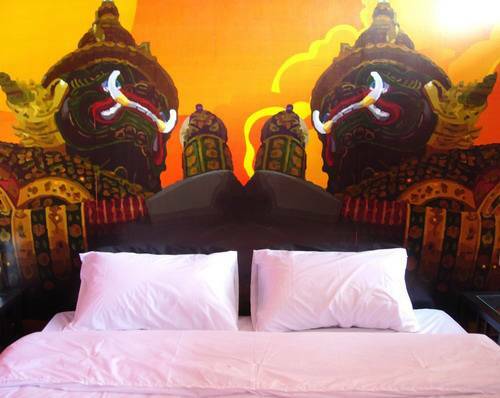 Rooms range from funky street art to a beautiful fairy tale. Every rooms are equipped with bathroom, air conditioned, telephone line, cable TV, tea & coffee facilities and private safe. Lobby areas are equipped with wireless internet connection, they can be at any time your business center. The quality of services, the comfort, the attention for design, the offers personalization make of Take a nap Hotel the perfect choice for business and recreation. 1. By taxi, Please ask the driver to turn on the meter cost should be around THB 250-300, express way THB 65 and taxi registration fee THB 50. Please print out the attached map for more cleary about Location. 2. By Airport Express Bus no. AE1. You have to go down to first floor and look for Airport Express Bus Counter. Rate is THB 150 per person, The bus will go to Rama4 Road, please get off at Pan Pacific Hotel's Bus stop. Then walk further, across small junction at Surawong road and walk straight about 10 meters. Please print out the attached map for more cleary about Location. 1. MRTA(subway) Samyan Station: 0. 4 Km. 2. BTS(skytrain) Saladaeng Sta. : 0. 6 Km. 4. Patpong: 0. 6 Km. 5. Lumpinee Park: 0. 5 Km. 6. Robinson department Store: 0. 35 Km. 7. Central department Store: 0. 6 Km. 9. Wat Traimitr: 2. 3 Km. 10. Grand Palace : 5. 6 Km. Each of the 30 rooms is an individual work of art. 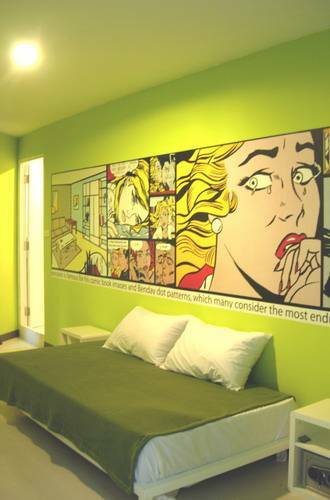 Rooms range from funky street art to a beautiful fairy tale. 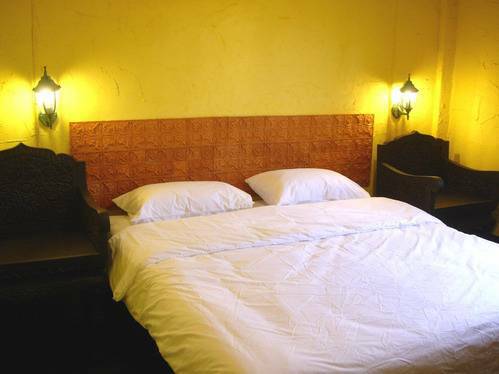 Every rooms are equipped with bathroom, air conditioned, telephone line, cable TV, tea & coffee facilities and private safe. Facilities, -Lobby areas are equipped with wireless internet connection, they can be at any time your business center. -pool table -Travel desk for tours, excursions and tourist bus transfer -Luggage storage The quality of services, the comfort, the attention for design, the offers personalization make of Take a nap Hotel the perfect choice for business and recreation. Crentrally Located near:Silom Street" The main Business street, full of pub, nightlife, transportation, bank, embassy and shopping area. MRTA(subway) Samyan Station: 0. 4 Km. Robinson department Store: 0. 35 Km. BTS(skytrain) Saladaeng Sta. : 0. 6 Km. Central department Store: 0. 6 Km. Hualampong Main train station: 2 Km. MBK & Siam paragon: 2 Km. Wat Traimitr: 2. 3 Km. Lumpinee Park: 0. 5 Km. Grand Palace : 5. 6 Km. Nearest airport: Suvanabhum Airport 35 km.